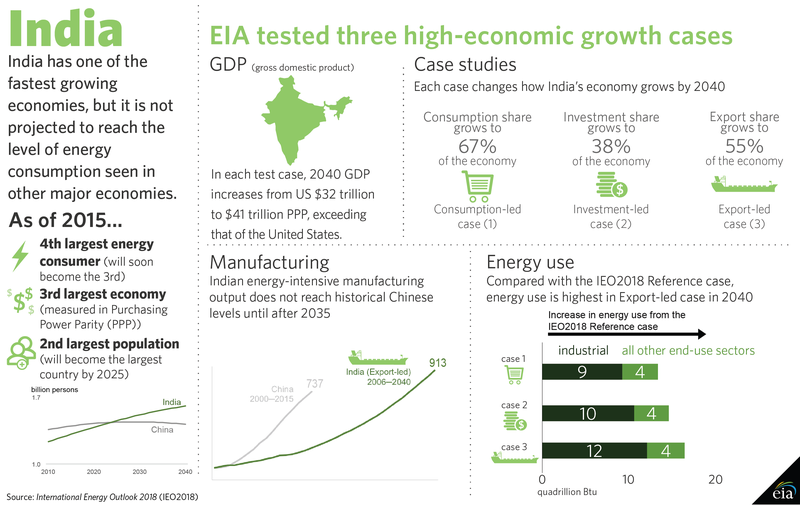 Source: EIA, International Energy Outlook 2018 Republished July 30, 2018, to correct unit from trillion to billion persons. 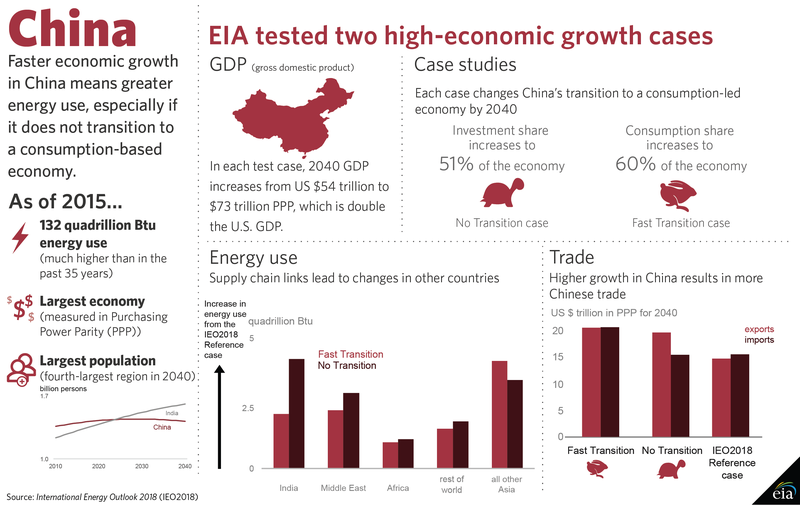 EIA’s International Energy Outlook 2018 (IEO2018) focuses on how different drivers of macroeconomic growth may affect international energy markets in three heavily populated and high economic growth regions of the world: China, India, and Africa. 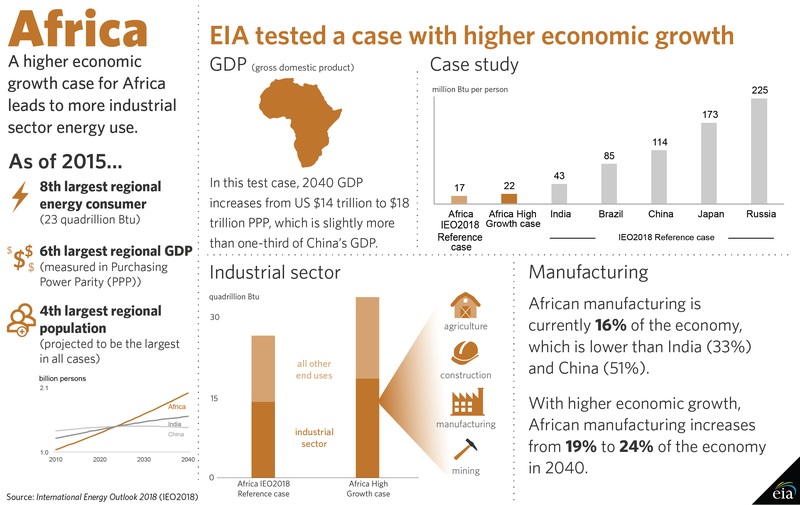 To perform this analysis, EIA updated the IEO2017 Reference case with new macroeconomic information and varied macroeconomic assumptions to create side cases for each region.